Curated to resonate with Grace Eleyaeâ&#x20AC;&#x2122;s target demographic and to be repurposed on Instagram, our influencers created relatable, evergreen content for the fashion brand. 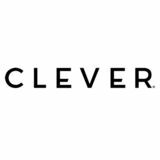 CLEVER influencers create fresh #sponsored content that speaks to real people. Influencer-generated content (IGC) is powerful and compelling. Influencer programs drive stunning results. But why stop there? Get the most out of IGC: this socially driven, shoppable, and irresistible content is yours to revitalize and reuse. WHENEVER. WHEREVER. FOREVER. CLEVER influencers served up a platter of creative content for Bob’s Red Mill: 1. Original Recipe Creation: Influencers from all 50 states (plus DC!) developed unique cookie recipes featuring Bob’s Red Mill products. 2. Branded Content Hub: Influencers posted their state-inspired recipe to their blogs and linked to the Bob’s Red Mill website, driving 300,000+ visits to Bob’s beautifully designed recipe hub. Brands walk away with much more than a trendy, one-time marketing program when our influencers tell their story. Clients reap the benefit of tailor-made brand assets to reimagine and reuse. When you repurpose influencer-generated content, you double your ROI... and then some! CLEVER influencers scored major client points when they captured their family’s NFL outfits for a product image-driven program. The relatable IGC set the stage for the launch of the NFL’s official Pinterest board, played a key role in boosting brand love amongst the client’s target audience, drove 1K NFL Pinterest sessions, and garnered 13M impressions during the program launch alone. High-cost brand content has its place... but it only goes so far. “Real people” brand content is next-level. It’s also efficient and cost-effective. If you’re struggling to generate content to populate all your social channels, IGC is a smart (and under-used!) solution. Wearhaus repurposed CLEVER-created Instagram videos for their brand channels, inspiring comments like â&#x20AC;&#x153;this is a must,â&#x20AC;? and praising the brand for their unique, user-generated gift guide. REINVENT. INFLUENCERS TELL YOUR STORY TO THEIR FANS. YOU SHARE THOSE STORIES WITH THE WORLD. 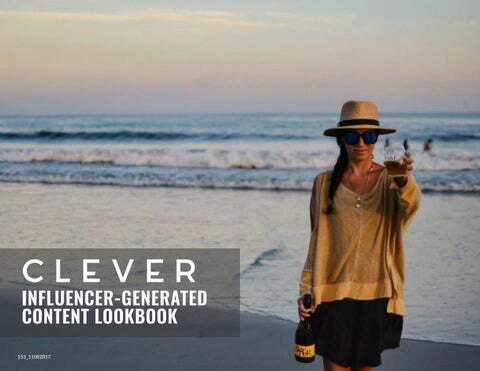 CLEVER influencer-generated content sparks organic conversation that meets your goals. A glimpse into the endless repurposing possibilities CLEVER influencer-generated content offers.